Registration open now through event start time. Our 2nd Annual San Antonio Chicken Walk coop tour will be held Saturday, April 13th, with great coops in north central San Antonio. We provide a map and passport to pre-registered visitors by email, but you can register on the day of the tour. This tour celebrates the October 2017 change to the San Antonio animal ordinance, raising the limit of backyard chickens allowed without a permit from 3 to 8. The San Antonio Express-News covered the inaugural event last year online and in the print edition, view the online Coop Tour Article. Last year more than 140 people took the tour, and many of us gathered afterward at Pittman Sullivan Community Garden for food, music, and raffle prizes. Use the hashtag #SAChickenWalk to share your photos on social media. 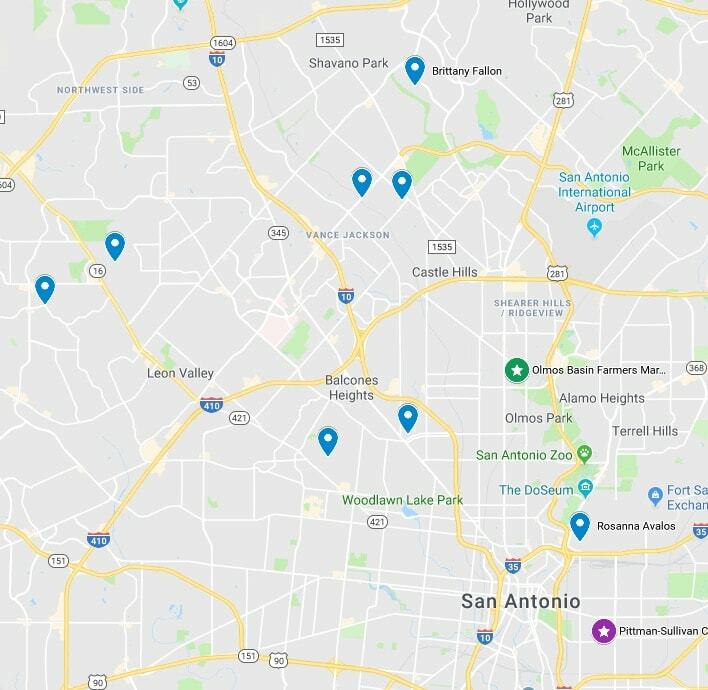 This self-guided tour of some of San Antonio’s backyard coops will begin at the Olmos Basin Farmers Market (map), where you can register and pick up your map as early as 9:30 am. You are encouraged to bring a cooler for shopping at the market before the tour. Starting at 10am, coop visitors may proceed in any order around the map, and can collect a signature on their passports at each stop. The tour will conclude with refreshments, music, and a raffle at the Pittman Sullivan Community Garden located at 1111 Dakota St. from 2 to 4 pm. All coops are in the San Antonio city limits. NOTE: One ticket per person ages 13 and older (12 and under are free). ALL TICKET SALES ARE FINAL. TOUR WILL GO ON, RAIN OR SHINE. This is an outdoor event. Please dress and hydrate accordingly. Restrooms will not be available for use at coop locations. Stay in designated areas around the homes and coops. Use the provided sanitary measures to prevent cross-contamination from one coop to another. Park vehicles on the street or in designated areas without blocking driveways. Do not bring dogs or other pets on the tour. Do not chase, taunt, feed or handle any birds or other pets on the coop owner’s property. Do not smoke at coop sites.